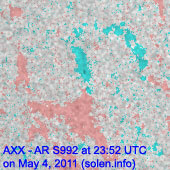 Last major update issued on May 6, 2011 at 03:50 UTC. 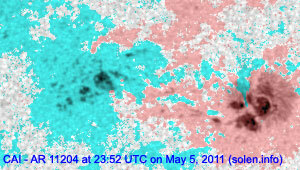 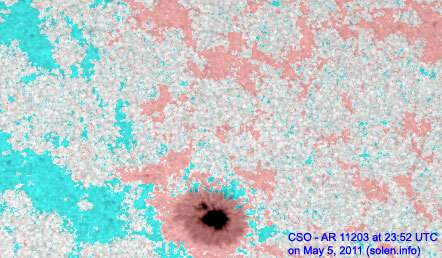 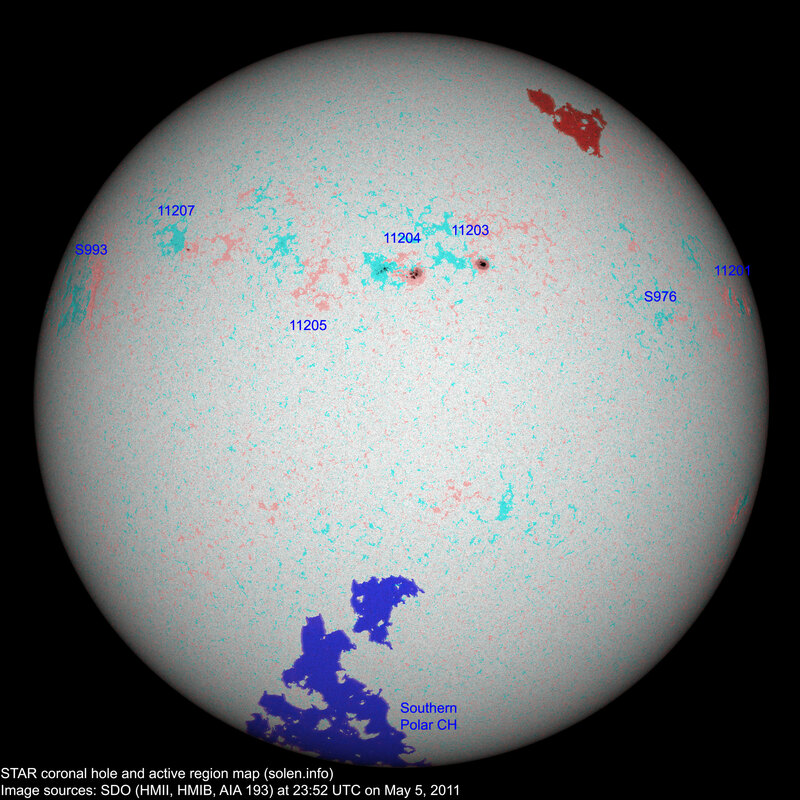 The geomagnetic field was quiet to unsettled on May 5. 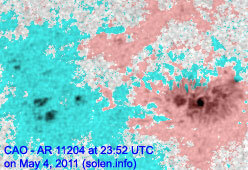 Solar wind speed ranged between 351 and 462 km/s. 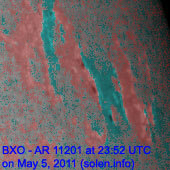 Solar flux measured at 20h UTC on 2.8 GHz was 104.9 (decreasing 3.8 over the last solar rotation). 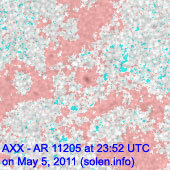 The planetary A index was 7 (STAR Ap - based on the mean of three hour interval ap indices: 7.4). 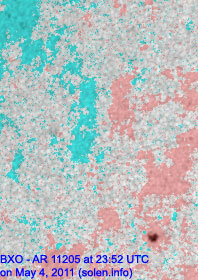 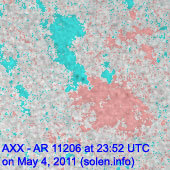 Three hour interval K indices: 33211122 (planetary), 23312121 (Boulder). 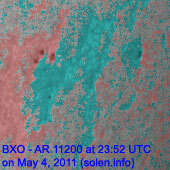 Region 11201 reemerged with spots on May 5. 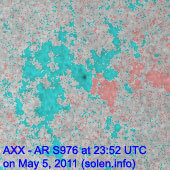 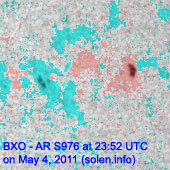 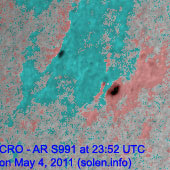 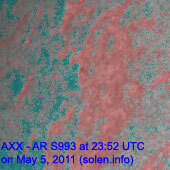 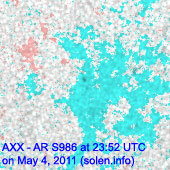 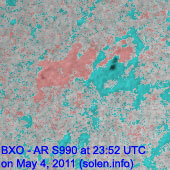 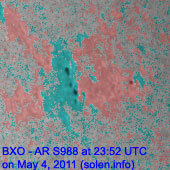 It is difficult to separate this region from spots in region S988, spots are therefore currently counted as if there is just one region. 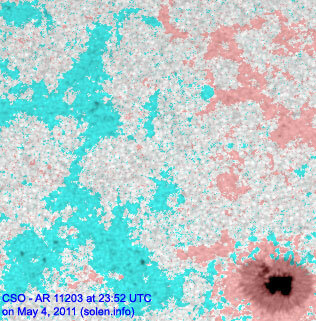 Region 11205 decayed further and could soon become spotless. 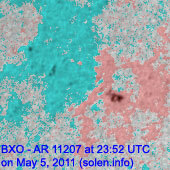 New region 11207 emerged in the northeast quadrant on May 3 and was numbered by NOAA/SWPC two days later. 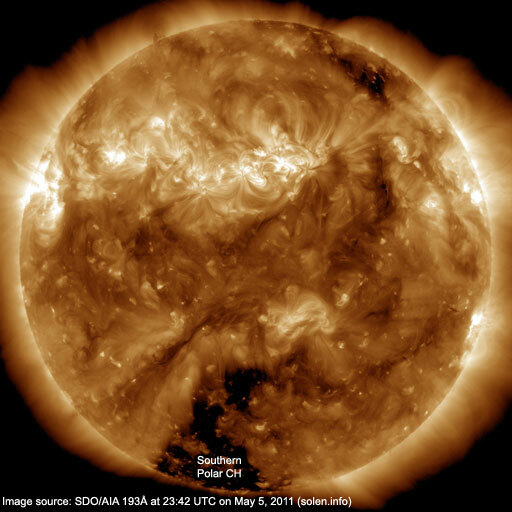 The geomagnetic field is expected to be quiet to unsettled on May 6-8 due to weak coronal hole streams.